DESIRABLE MIXED-USE PROPERTY; YELLOW BRICK WITH SOME VINYL SIDING; LANDSCAPED; PRISTINE HARDWOOD FLOORS, WOOD BEAM CEILINGS, LARGE WINDOWS, UNIQUE ARCHITECTURAL FEATURES. FORMER FIRST FLOOR BUSINESS WITH REAR OFFICE AREA AND UPPER LEVEL MULTI-FAMILY LIVING SPACE ON SECOND AND THIRD FLOOR. 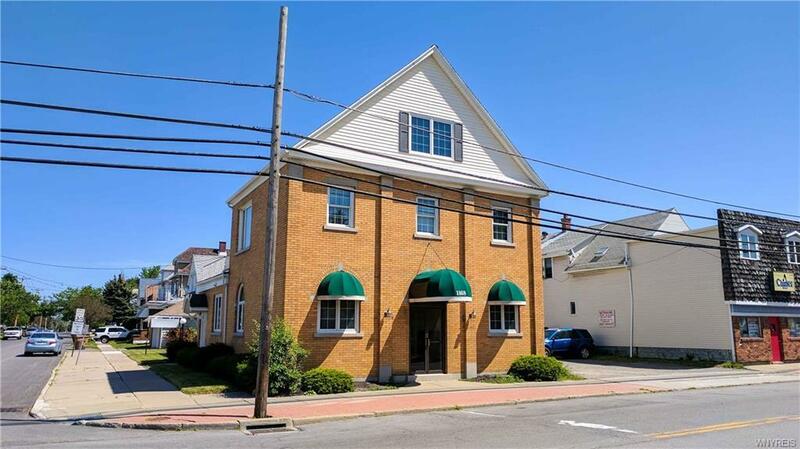 EXCELLENT POTENTIAL CONVERSION TO MIXED-USE RETAIL / PROFESSIONAL OFFICES WITH MULTIFAMILY RENTALS ON UPPER FLOOR(S). EASY ACCESS FROM WALDEN OR GUALBERT AVE. INCLUDES 704 SF DETACHED GARAGE AND 0.4889 ACRE PARKING LOT ACROSS THE STREET (2 PARCELS). AT SIGNALIZED INTERSECTION OF WALDEN AND GUALBERT AVE. CENTRALLY LOCATED JUST MOMENTS FROM THE NYS THRUWAY (I90), HARLEM RD, AND THE WALDEN AVE/UNION RD GALLERIA MALL RETAIL CORE. THIS IS A RARE FIND, SO ACT FAST! Directions To Property: From Thruway (I90)/Harlem Rd, Follow Walden Ave West, Property Is On The Right At The Corner Of Walden And Gualbert Ave.